It is health that is the real wealth and not pieces of gold and silver. Most of us have had the experience that when we make poor food choices it can leave us feeling sluggish and tired. When we do the opposite and eat a high amount of fruit and vegetables and less ‘junk’ or processed foods we feel better. 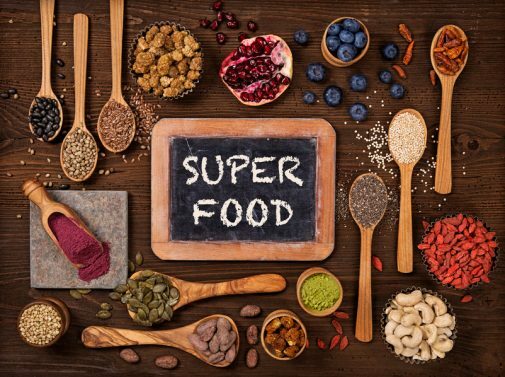 So what if we were to incorporate superfoods in our diet? Well, superfoods have the potential to take this feeling of wellbeing to another level. A superfood is a nutrient dense food that has a positive benefit on our health. This means it gives a high amount of vitamins, mineral, phytochemicals and antioxidants with very few calories. Antioxidants are known for their ability to fight against the harmful effects of free radicals, which damage DNA and cells, contributing to the process of inflammation, ageing and the development of disease. 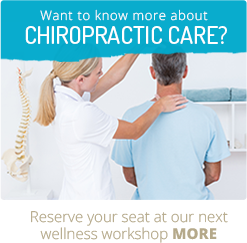 With our lives only seeming to get more and more busy, the levels of stress, increase in convenience foods and compromises to our sleep and exercise it’s no wonder that we are not as healthy as we should be. With growing knowledge and wisdom are we losing the time or inner voice that helps us to regulate what is good and bad for us? Are we going backwards? There is evidence to suggest in some ways we are. This modern lifestyle is exposing us to more toxins which are another trigger of these free radicals. Combine this with farming practices that are now geared around productivity and the bottom line and not about the quality of the foods produced, we are finding our foods much lower in the nutrients they should contain. There are some very important studies that have compared nutrient levels in fruits and vegetables in the 1950s to more current times. Overall, there were many nutrients coming up much lower than their predecessors. As an example, we would have to consume eight oranges to derive the same amount of vitamin A as our grandparents would have gotten from one. So, what do we do to support our bodies to deal with inflammation and free radicals and to feed it with the best fuel we can? And how can we combat the nutritional holes left in our food from the deficient produce. Well, a good place to start is some of these superfoods. Eating whole foods and supplementing with nutrient dense ingredients can help support the body against some of these modern challenges. Algaes – such as Chlorella and Spirulina have a huge amount of bioavailable nutrients, great support on any restrictive or deficient diet. Algaes are also very cleansing to the body and blood and often incorporated to assist in heavy metal detoxification. Berries – often containing good amounts of polyphenols a group of phytochemicals which includes Resveratrol. Resveratrol is not only an antioxidant but shows promise in its ability to slow the ageing process. Grasses – such a wheatgrass and barley grass are highly alkalising, cleansing and rich in minerals and vitamins. Medicinal Mushrooms – although around for centuries, especial in Eastern medicine, mushrooms have had some recent popularity. The hype is justified. Mushrooms such as reishi, shiitake and cordyceps promote strong immune regulation and can help support the adrenal glands which are often behind being tired and rundown. Fruits – the most concentrated natural food source of vitamin C belongs to our own indigenous fruit, Kakadu plum, otherwise known as gubinge. Not far behind is Camu Camu a berry from Peru, also containing high amounts of vitamin C.
On the whole, superfoods are often used for energy, to support a healthy immune system, for vibrant skin, weight loss and chronic disease including diabetes, arthritis and cancer. And put simply, a lot of people report feeling and looking better for it. A landmark study on the topic by Donald Davis and his team of researchers from the University of Texas (UT) at Austin’s Department of Chemistry and Biochemistry was published in December 2004 in the Journal of the American College of Nutrition. They studied U.S. Department of Agriculture nutritional data from both 1950 and 1999 for 43 different vegetables and fruits, finding “reliable declines” in the amount of protein, calcium, phosphorus, iron, riboflavin (vitamin B2) and vitamin C over the past half century. The Organic Consumers Association cites several other studies with similar findings: A Kushi Institute analysis of nutrient data from 1975 to 1997 found that average calcium levels in 12 fresh vegetables dropped 27 percent; iron levels 37 percent; vitamin A levels 21 percent, and vitamin C levels 30 percent. A similar study of British nutrient data from 1930 to 1980, published in the British Food Journal,found that in 20 vegetables the average calcium content had declined 19 percent; iron 22 percent; and potassium 14 percent. Detox – Fad? or Fab?